Hope everyone is doing well and you’re prepared for the forthcoming feast that is Thanksgiving. As usual, I plan on gaining significant circumference with glorious overindulgence. This time of year is ideal for practicing your Attitude of Gratitude. 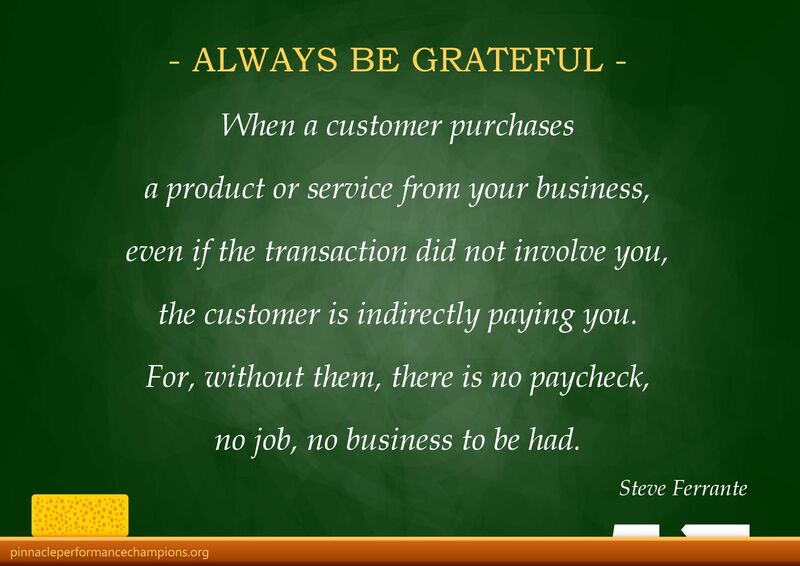 That means letting customers know how much you value and appreciate their business. Since starting Sale Away in 2005, I have asked literally thousands of individuals in a large number of organizations all over the map if they truly appreciate their customers and, predictably, I always receive the same response; “Of course we do!” Then I ask them the real question… How do your customers know? The sad reality is quite often customers really don’t know or, more importantly, feel appreciated. Employees assume customers know they’re appreciated because they regularly thank them at the end of a given interaction. That’s great but true displays of customer appreciation are about much more than at the end of interactions, they are consistent throughout the relationship. As I wrote in Always Be Grateful, true gratitude is not a seasonal affair. 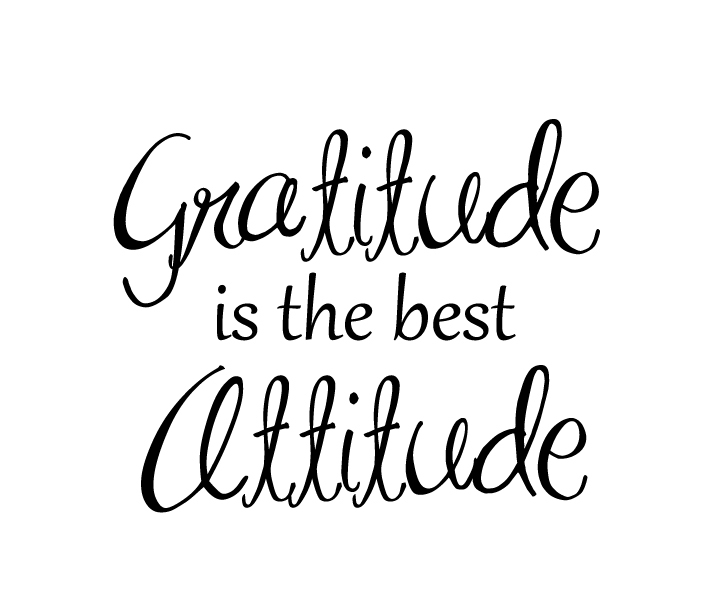 An attitude of gratitude should be practiced year round for there is much to be thankful for. Of course, it’s not only what you say but what you do that makes the difference. Spontaneous “Thank You For Your Business” cards to customers, follow-up calls with customers to thank them for their business and ensure they’re happy after the sale, random acts of kindness and consistent acts of exceptional ‘Pinnacle Performance’ service go a long way towards demonstrating genuine customer appreciation and gratitude. Speaking of gratitude, I would be remiss if I didn’t THANK YOU! I very much appreciate you spending some quality time here and wish you all the best this holiday season!